Maine medical malpractice law is among the most complex legal practice areas. The statutes, case law, and regulations governing medical malpractice law in Maine are highly technical. For instance, there are very strict and complicated filing deadlines that must be followed, or the injured patient’s case will not even be allowed to proceed, regardless of the actual substantive merits of the claim. Similarly, there are myriad other esoteric rules in place that make successfully prosecuting a medical malpractice claim in Maine exceptionally difficult for anyone other than an experienced and knowledgeable medical malpractice lawyer. Unfortunately, this complexity has given rise to a great deal of confusion, misunderstanding, false assumptions, and inaccurate beliefs about medical malpractice claims in Maine by both members of the general public as well as practicing lawyers. This widespread lack of understanding is not in anyone’s best interests, especially injured patients and their loved ones who are desperate for accurate information and answers. This article seeks to address the state of confusion by discussing both the broad fundamental principles and many of the key technical mechanics of Maine medical malpractice law in practice. It is intended that this article do so in plain language with minimal use of legal jargon, so the material presented is easily accessible for both nonlawyers and legal practitioners alike. Section I below discusses the broad basic principles and concepts of medical malpractice law in Maine. After reading this Sect ion, the reader will have an understanding of the basic issues for consideration in a medical malpractice case. Sections II through XI examine specific key technical aspects in initiating and prosecuting an action for medical malpractice in Maine. Below is a list of topics covered in this article. -What is Medical Malpractice in Maine? 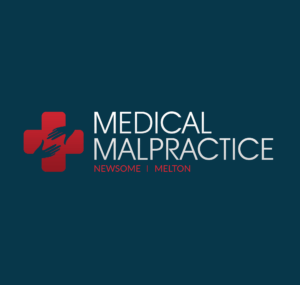 What is Medical Malpractice in Maine? It is important to understand that not all mistakes made (instances of negligence) by healthcare providers constitute compensable medical malpractice under Maine law. Similarly, not all injuries following medical treatment amount to medical malpractice entitling the injured patient to compensation. Some degree of risk is inherent in most medical procedures. The law does not require healthcare providers to guarantee that no harm or unfavorable consequence will arise from treatment. The law simply requires that healthcare providers meet the legally required standard of care while rendering medical treatment. While negligence and subsequent injury are necessary factors for a legally valid medical malpractice claim, their mere presence alone is not sufficient for a compensable claim. Maine medical malpractice law requires the injured patient to also prove causation between the negligence and the subsequent injury. The negligence must be the actual cause in fact of the patient’s injury. The law does not hold a healthcare provider who was negligent legally responsible for any and all injuries sustained by a patient simply because they happen to occur or manifest themselves after the negligent behavior. That is, the negligent act must have been the actual cause of the injury, not simply precede it in time, for a viable medical malpractice claim. The Maine Supreme Judicial Court (“Supreme Court”) made this point clear when it explained: “Negligence alone on the part of an actor is not enough to impose liability. Negligence is actionable only if it proximately causes an injury to another—that is, if it is a substantial factor in bringing about the harm and … there is no rule of law relieving the actor from liability because of the manner in which his negligence has resulted in harm.” [internal quotation marks omitted] Taylor v. Hill, 464 A.2d 938, 944 n.2 (Me. 1983). That is, “[p]roof of an unfavorable result, without more, will not suffice to establish the liability of a physician.” Caron v. Pratt, 336 A.2d 856, 859 (Me. 1975). Causation—the plaintiff must establish the breach of the standard of care proximately caused the plaintiff’s injury. Cox v. Dela Cruz, 406 A.2d 620, 622 (Me. 1979). The applicable standard of care for medical malpractice claims “is the care that an ordinarily competent physician [or healthcare practitioner] would provide under like circumstances.” McLaughlin v. Sy, 589 A.2d 448, 452 (Me. 1991). Whether a defendant owes the plaintiff a duty of care is a question of law, but the issues of breach and causation are questions of fact. Welch v. McCarthy, 677 A.2d 1066, 1069 (Me. 1996). The Maine Supreme Court clarified in McLaughlin that the Locality Rule is not the law in Maine. McLaughlin, 589 A.2d at 452. The Locality Rule holds that a healthcare practitioner is required to use that degree of knowledge, skill, care, and attention ordinarily exercised by such healthcare practitioners under like circumstances and in like localities or local communities. However, the Supreme Court further clarified in McLaughlin that while strict adherence to the Locality Rule is not the law in Maine its formulation of the applicable standard of care, with approval of terms such as ‘like conditions’ and ‘community standards,’ is broad enough to encompass the degree of skill and care required of practitioners in similar localities. As used by the Supreme Court, the foregoing terms are “considered interchangeable with the concept of ‘in like situation.’” Id. Accordingly, locality “is, at most, a factor in the overall circumstances.” Id. Professional testimony alone should be looked to for matters of fact or opinion peculiarly within the learning and experience of professional witnesses. Thus, where the exercise of proper skill or care on the part of a physician or surgeon is in issue, expert medical testimony is ordinarily essential. Accordingly, expert testimony is ordinarily required to establish the prevailing standard of skill and learning in the locality, and expert testimony is required to establish usual or proper practice in medical treatment, the propriety of particular conduct of the practitioner, and want of professional skill; and such testimony, although not conclusive in the sense that it must be accepted as true, is conclusive as against that of lay witnesses where the matter in issue is within the knowledge of experts only, and not within the common knowledge of laymen. Cyr, 108 A.2d at 318 (quoting 70 C.J.S., Physicians and Surgeons, § 62, page 1006). There is a recognized exception to the general rule. “[U]nder some circumstances where the negligence and harmful results are sufficiently obvious as to lie within common knowledge, a verdict may be supported without expert testimony,” explained the Supreme Court. Id. Classic examples of situations that are considered within the common knowledge of lay jurors is when the wrong limb is amputated (left leg instead of right) and where a foreign object with no remaining therapeutic value is inadvertently left inside a patient following surgery. In these types of scenarios, laypeople can draw upon their own common knowledge and experience to conclude that the defendant was negligent without the need for an expert to tell them so. In order to recover damages for a medical malpractice claim, the plaintiff must also establish by a preponderance of the evidence that the defendant’s negligence was a proximate cause of the plaintiff’s injury. Champagne v. Mid-Maine Medical Center, 711 A.2d 842, 845 (Me. 1998). The Maine Supreme Court instructed that the “mere possibility of such causation is not enough; and when the matter remains one of pure speculation or conjecture, or the probabilities are at best evenly balanced, it becomes the duty of the court to direct a verdict for the defendant.” Id. (quoting Restatement (Second) of Torts § 433B cmt. a, at 442 (1965)). Proximate cause is that cause which, in natural and continuous sequence, unbroken by an efficient intervening cause, produces the injury, and without which the result would not have occurred. Evidence is sufficient to support a finding of proximate cause if the evidence and inferences that may reasonably be drawn from the evidence indicate that the negligence played a substantial part in bringing about or actually causing the injury or damage and that the injury or damage was either a direct result or a reasonably foreseeable consequence of the negligence. The mere possibility of such causation is not enough, and when the matter remains one of pure speculation or conjecture, or even if the probabilities are evenly balanced, a defendant is entitled to a judgment. A consequence of negligence is reasonably foreseeable if the negligence has created a risk which might reasonably be expected to result in the injury or damage at issue, even if the exact nature of the injury need not, itself, be foreseeable. However, reasonable foreseeability does not equal causation. To support a finding of proximate cause, there must be some evidence indicating that a foreseeable injury did in fact result from the negligence. Proximate cause is generally a question of fact for the jury, but the court has a duty to direct a verdict for the defendant if the jury’s deliberation rests only on speculation or conjecture. [internal citations and quotation marks omitted] Merriam v. Wanger, 757 A.2d 778, 780-781 (Me. 2000). In general, medical malpractice claims in Maine are subject to a three-year statute of limitations that is contained in Maine Revised Statutes (“MRS”) § 2902. The statute states that “actions for professional negligence must be commenced within 3 years after the cause of action accrues. For the purposes of this section, a cause of action accrues on the date of the act or omission giving rise to the injury.” Id. Maine’s standard statute of limitations governing medical malpractice claims is relatively harsh since the limitations period is triggered by the alleged negligent act or omission itself, rather than the discovery of the injury and likely cause. This means that the statute of limitations can expire and bar any claim even before the injured party is aware or has reason to be aware of the injury or that he or she may have a claim. In practice, it operates very similar to a statute of repose (see next Section for full discussion). We therefore hold that, pursuant to section 2902, a plaintiff may bring a single action alleging continuing negligent treatment that arises from two or more related acts or omissions by a single health care provider or practitioner where each act or omission deviated from the applicable standard of care and, to at least some demonstrable degree, proximately caused the harm complained of, as long as at least one of the alleged negligent acts or omissions occurred within three years of the notice of claim. Id. at 816. The application of the Continuing Treatment doctrine allows those acts or omissions that would otherwise be time-barred (occurred more than three years prior to the commencement of the medical malpractice claim) to be included with a timely filed action as long as they are related to the act or omission that occurred within three years of the filing of the action. In computing any period of time prescribed or allowed by these rules, by order of court, or by any applicable statute, the day of the act, event, or default after which the designated period of time begins to run is not to be included. The last day of the period so computed is to be included, unless it is a Saturday, a Sunday, or a legal holiday, in which event the period runs until the end of the next day which is not a Saturday, a Sunday, or a holiday. When the period of time prescribed or allowed is less than 7 days, intermediate Saturdays, Sundays and legal holidays shall be excluded in the computation. Maine recognizes the Discovery Rule for medical malpractice claims in one specific situation. MRS § 2902 provides that the standard three-year statute of limitations “does not apply when the cause of action is based upon the leaving of a foreign object in the body, in which case the cause of action accrues when the plaintiff discovers or reasonably should have discovered the harm.” The statute states that the term ‘foreign object’ does not include “a chemical compound, prosthetic aid or object intentionally implanted or permitted to remain in the patient’s body as part of the health care or professional services.” Id. Minors are subject to a different limitations period than the standard three-year period that normally applies to medical malpractice claims. MRS § 2902. With respect to minors, the statute provides that “actions from professional negligence by a minor must be commenced within 6 years after the cause of action accrues or within 3 years after the minor reaches the age of majority, whichever first occurs.” Id. Individuals who are deemed mentally ill are also subject to a different limitations period than the general three-year period that normally applies to medical malpractice claims. MRS § 2902. Under MRS § 853, a person entitled to bring a medical malpractice action who is mentally ill at the time of accrual of the action has three years to bring the action from the date the disability, i.e., mental illness, is removed. The application of Maine’s medical malpractice statute of limitations is extremely nuanced, technical, and fact-driven. The rules governing this area of the law can be overwhelmingly complex and confusing for anyone other than an experienced Maine medical malpractice attorney. In order for potential plaintiffs to ensure the preservation of their right to prosecute their medical malpractice claim, it is advisable to contact an Maine attorney who specializes in medical malpractice law at the earliest possible opportunity. Maine does not have a separate statute of repose applicable to medical malpractice claims. However, its standard statute of limitations shares important characteristics with that of a statute of repose. For instance, notice that the triggering event is the alleged negligent act or omission. In contrast to most statutes of limitations which begin to run when the plaintiff has knowledge or constructive knowledge of the injury and its factual cause, Maine’s statute of limitations begins to run immediately upon the occurrence of the alleged negligence and can expire even before the potential plaintiff is aware that he or she may have been injured thus forever barring any possible claim. That harsh result is exactly like that of a statute of repose. The Maine Tort Claims Act governs suits against the state and governmental entities. It provides: “Except as otherwise expressly provided by statute, all governmental entities shall be immune from suit on any and all tort claims seeking recovery of damages. When immunity is removed by this chapter, any claim for damages shall be brought in accordance with the terms of” the Act. MRS § 8103(1). The Act provides for a few very limited exceptions to the state’s immunity from suit, but claims for personal injury due to medical malpractice is not one of the specified exceptions. MRS § 104A. Moreover, the Maine Supreme Court explicitly announced that state hospitals enjoy “the broad general immunity provided by the Tort Claims Act.” Darling v. Augusta Mental Health Institute, 535 A.2d 421, 423 (Me. 1987). However, medical malpractice actions against the state or its employees for wrongful death are permitted because the state waived immunity for such claims in MRS § 8104-C. The Maine Supreme Court instructed that “claims of medical malpractice against governmental entities and their employees must be brought in accordance with the MTCA….” Hinkley v. Penobscot Valley Hospital, 794 A.2d 643, 647 (Me. 2002). But the provision within the Act that authorizes wrongful death suits against a governmental entity or employee, i.e., MRS § 8104-C, expressly states that such actions must be brought in accordance with the general procedures for wrong death claims in Title 18-A, section 2-804. Accordingly, wrongful death claims based on medical malpractice may be brought against the state or its employees, and the procedure set forth in MRS § 2-804 govern. Any person who voluntarily, without expectation of monetary or other compensation from the person aided or treated, renders first aid, emergency treatment or rescue assistance to a person who is unconscious, ill, injured or in need of rescue assistance, shall not be liable for damages for injuries alleged to have been sustained by such person nor for damages for the death of such person alleged to have occurred by reason of an act or omission in the rendering of such first aid, emergency treatment or rescue assistance, unless it is established that such injuries or such death were caused willfully, wantonly or reckless or by gross negligence on the part of such person…. This section shall not be construed to require a person who is ill or injured to be administered first aid or emergency treatment if such person objects thereto on religious grounds…. This section shall not apply if such first aid or emergency treatment or assistance is rendered on the premises of a hospital or clinic. Notice that the immunity granted by Maine’s Good Samaritan law does not apply if the acts or omissions constitute willful, wanton or reckless conduct or gross negligence. Thus, Good Samaritans are shielded from civil liability for ordinary negligence. Also, notice that under Maine’s Good Samaritan law a person rendering emergency care or assistance at a hospital or clinic is not covered by the grant of immunity under the statute. There are numerous statutes providing some form of immunity or limitation on liability for various healthcare practitioners, emergency personnel, healthcare related entities, and specific scenarios scattered throughout the Maine Revised Statutes. Many of the statutes medical malpractice plaintiffs are most likely to encounter are contained in Title 14, Chapter 741: Tort Claims. Filing a written notice of claim, setting forth, under oath, the professional negligence alleged and the nature and circumstances of the injuries and damages alleged, with the Superior Court. The claimant must serve the notice of claim on the person accused of professional negligence. The return service must be filed with the court within 90 days after filing the notice of claim. MRS § 2853. To identify claims of professional negligence and to encourage early withdrawal or dismissal of nonmeritorious claims. MRS § 2852 sets forth detailed procedures for the formation and operation of the panel, and MRS § 2854 details the procedures for the hearing. If negligence on the part of the health care practitioner or health care provider is found, whether any negligence on the part of the patient was equal to or greater than the negligence on the part of the practitioner or provider. MRS § 2855(1). The defendant must prove comparative negligence by a preponderance of the evidence. MRS § 2855(2). If the panel unanimously finds in favor of the plaintiff, the defendant “must promptly enter into negotiations to pay the claim or admit liability.” MRS § 2858. Alternatively, if the panel unanimously finds in favor of the defendant, “the claimant must release the claim or claims based on the findings without payment….” Id. In general, the “findings and other writings of the panel and any evidence and statements made by a party or a party’s representative during a panel hearing are not admissible and may not otherwise be submitted or used for any purpose in a subsequent court action and may not be publicly disclosed….” MRS § 2857(1). However, there are certain specified exceptions to the foregoing general rule listed in MRS § 2857 of which plaintiffs should be aware. It should be noted that the applicable statute of limitations for filing an action in court “is tolled from the date upon which notice of claim is served or filed in Superior Court until 30 days following the day upon which the claimant receives notice of the findings of the panel.” MRS § 2859. If all parties to the claim agree, they can bypass the panel and commence a lawsuit in court. MRS § 2853(5). For a thorough discussion of all aspects of the panel process by the Maine Supreme Court, see Smith v. Hawthorne, 924 A.2d 1051, 1053-1055 (Me. 2007). In Maine, there is only one form of action, and it is known as a “civil action.” Rule 2 of the Maine Rules of Civil Procedure. Civil actions are commenced by filing a complaint with the appropriate court or by service of a summons and complaint. Rule 3. When the first method is used, “the complaint must be filed with the court within 20 days after completion of service.” Id. When the second method is used, “the return service shall be filed with the court within 90 days after the filing of the complaint.” Id. The complaint is one of the recognized forms of pleading under Maine law. Rule 7(a). Each allegation contained in the initial complaint “shall be simple, concise, and direct. No technical forms of pleadings or motions are required.” Rule 8(e)(1). The plaintiff “may set forth two or more statements of a claim or defense alternately or hypothetically, either in one count … or in separate counts….” Rule 8(e)(2). In addition, the plaintiff may “state as many separate claims” as he or she “has regardless of consistency and whether based on legal or equitable grounds.” Id. Complaints “shall be so construed as to do substantial justice.” Rule 8(f). The complaint “shall contain (1) a short and plain statement of the claim showing that the pleader is entitled to relief, and (2) a demand for judgment for the relief which the pleader seeks. Relief in the alternative or of several different types may be demanded.” Rule 8(a). The complaint “shall contain a caption setting forth the name of the court, the county in the Superior Court, the location of the District Court, the title of the action, the docket number, and a designation as a complaint.” Rule 10(a). In addition, the caption for a complaint “shall include the names of all the parties….” Id. Finally, the complaint must be dated. Id. All allegations of claim “shall be made in numbered paragraphs, the contents of each of which shall be limited as far as practicable to a statement of a single set of circumstances….” Rule 10(b). “Each claim founded upon a separate transaction or occurrence … shall be stated in a separate count … whenever a separation facilitates the clear presentation of the matters set forth.” Id. The complaint “shall be signed by at least one attorney of record in that attorney’s individual name, whose address shall be stated.” Rule 11. A plaintiff “who is not represented by an attorney shall sign the party’s” complaint and must include his or her address. Id. Maine is a notice pleading state. Richards v. Soucy, 610 A.2d 268 (Me. 1992). Under Maine’s notice pleading requirements, “the complaint need only provide defendant with fair notice of the claims against it.” Jones v. Route 4 Truck & Auto Repair, 634 A.2d 1306, 1308 (Me. 1993). According to the Maine Supreme Court, “[f]air notice is achieved by a generalized statement alleging facts that would entitle plaintiff to relief.” Id. A complaint satisfies the notice pleading requirements if it “alleges facts that would entitle the plaintiff to relief upon some theory, or if it avers every essential element of recovery.” Jackson v. Borkowski, 627 A.2d 1010, 1014 (Me. 1993). The Maine Supreme Court has repeatedly instructed that whether a witness is qualified to testify as an expert witness on a specific issue “is a question of fact for the presiding judge, and his decision of such a question is usually final.” Fayette v. Chesterville, 77 Me. 28, 33 (1885). The trial judge is afforded “wide discretion” in making the determination of whether a proposed witness is qualified to testify as an expert. Levesque v. Chan, 569 A.2d 600, 601 (Me. 1990). Essentially, as long as the proposed expert provides sufficient evidence or testimony to persuade the trial judge that he or she possesses expertise on the specific issue he or she is offering testimony, then the expert is deemed qualified. The law is clear in Maine that a “member of one specialty may testify to the standard of care applicable to another specialty as long as the witness is familiar with the standard of care and qualified to testify about it.” Taylor v. Hill, 464 A.2d 938, 942 (Me. 1983). That is, there is no strict prohibition against a member of one specialty testifying against a member of another specialty. The guiding principle in Maine is whether the trial judge determines that the proposed expert possess expertise on the particular issue in question. Additionally, “the diagnosis and treatment of some medical problems may be of concern to doctors of different specialties, and in an area of concurrent expertise, a common standard of care may be shared.” Id. (quoting Baoust v. Kraut, 377 A.2d 4, 7 (Del. 1973). The adoption of this principle underscores the Maine Supreme Court’s willingness to consider a proposed witness qualified as an expert provided that he or she establishes actual expertise on the issue in question, regardless of titles, practice areas, or other formalities. The Maine Supreme Court has expressly declined to formally adopt either the Frye or Daubert standard. State v. Williams, 388 A.2d 500 (Me. 1978) (Court rejected Frye’s general acceptance test), Searles v. Fleetwood Homes of Pennsylvania, Inc., 878 A.2d 509 (Me. 2005) (latest case in which Court refused to adopt Daubert test). The Maine Supreme Court utilizes a two-part test for determining the admissibility of expert witness opinion testimony based upon Rule 702 and Rule 401. In the admissibility analysis, the proponent of the expert testimony is required to establish that (1) the testimony is relevant and (2) the testimony will assist the trier of fact in understanding the evidence or determining a fact in issue. Williams, 388 A.2d at 504. In addition, to “meet the two-part standard for the admission of expert testimony, the testimony must also meet a threshold level of reliability.” Searles, 878 A.2d at 516 (quoting In re Sarah C., 864 A.2d 162, 165 (2004)). Indicia of scientific reliability may include the following: whether any studies tendered in support of the testimony are based on facts similar to those at issue; whether the hypothesis of the testimony has been subject to peer review; whether an expert’s conclusion has been tailored to the facts of the case; whether any other experts attest to the reliability of the testimony; the nature of the expert’s qualifications; and, if a causal relationship is asserted, whether there is a scientific basis for determining that such a relationship exists. We review a court’s foundational finding that expert testimony is sufficiently reliable for clear error. Assuming that a court finds that there is a proper foundation, its decision whether to admit the testimony is a matter of discretion. [internal citations omitted] Id. When any person suffers death or damages as a result partly of that person’s own fault and partly of the fault of any other person or persons, a claim in respect of that death or damage may not be defeated by reason of the fault of the person suffering the damage…. If such claimant is found by the jury to be equally at fault, the claimant may not recover. Notice that the plaintiff may recover damages so long as his or her proportionate share of negligence is not equal to or greater than the defendant or defendants being sued by the plaintiff—the 50% bar rule. If the plaintiff’s percentage share of determined fault is equal to or greater than the total of the defendant or defendants (i.e., plaintiff’s contributory negligence is determined to be 50% or greater), then the plaintiff is not entitled to any recovery. The foregoing language in the above quoted portion of the statue is the codification of the 50% bar rule, which holds that if the plaintiff’s allocated percentage of fault is 50% or greater he or she is completely barred from recovering any damages. For example, assume a plaintiff is determined to be 49% at fault, the plaintiff would still be entitled to recovery. In contrast, if the plaintiff were determined to be 50% at fault, he or she would not be entitled to any recovery because Maine imposes the 50% bar rule. Under contributory negligence (the doctrine that Maine followed prior to implementing the current doctrine of modified comparative negligence), a plaintiff is completely barred from any recovery if his or her negligent conduct contributed as a legal cause in any degree to the injury. Contributory negligence is extremely unforgiven. If the plaintiff’s own negligence contributed to the injury in the slightest degree, i.e., even 1%, he or she cannot recover any damages. It is for this reason that nearly every state has abandoned it. Only Alabama, Maryland, North Carolina, and Virginia still permit the use of contributory negligence. To underscore the point, assume that a plaintiff is 10% at fault for contributing to his or her own injuries with the defendant 90% at fault, and the damage award is $1 million. Under comparative negligence, the plaintiff will still recover $900,000 ($1 million less 10% or $100,000 attributable to his or her allocated share of fault). In contrast, under contributory negligence, the plaintiff recovers nothing. The plaintiff’s 10% allocation of fault serves as a complete bar to recovery. That is the stark difference between the two doctrines. The Maine Supreme Court explained that the Legislature adopted the doctrine of modified comparative negligence based on “humanitarian reasons and the consequent need to eliminate the unfairness of the contributory negligence doctrine….” Crocker v. Coombs, 328 A.2d 389, 392 (Me. 1974). In Crocker, the Supreme Court announced that a defendant who invokes the doctrine of comparative negligence to place a portion of the fault for the injury or damage on the plaintiff bears “the burden of proving the causal negligence of the tortuously injured party” and “must support this burden by a fair preponderance of the evidence.” Id. That is, the defendant has the burden of proof in establishing the plaintiff’s own negligence contributed to his or her injury, and the defendant must do so by a preponderance of the evidence. Accordingly, plaintiffs no longer have to prove that their lack of any negligence in order to recover as was the case under the previous doctrine of contributory negligence. Id. This differs considerably from how other states that follow the doctrine of modified comparative negligence deal with calculating recoverable damages. In most states, the amount a plaintiff may recover is reduced by his or her allocated proportion of fault for causing the injury. For example, if a plaintiff were deemed 25% at fault for causing his or her own injury and the total damage award is $100,000, the plaintiff would be entitled to a recovery of $75,000 ($100,000 less 25% attributable to his or her own share of fault or $25,000). In contrast, Maine does not impose a requirement that the total damage award be reduced by the plaintiff’s proportionate share of fault. Rather, a jury may award an amount that is less, more, or equal to the plaintiff’s proportionate share of fault with the guiding principle being what “the jury thinks is just and equitable” in light of the facts of the case. Id. Accordingly, Maine juries have a great deal of flexibility in awarding damages. Despite the importance of this issue, it appears that whether Maine follows the individual comparison or combined comparison approach has never been decided by the Maine Supreme Court. The Court was asked to rule on the issue in the only reported case that mentions the two different approaches, viz., Lowery v. Owen M. Taylor & Sons, Inc., 374 A.2d 325 (Me. 1977). In Lowery, one of the two defendants in the case objected to the jury instructions provided by the trial court which clearly articulated the individual comparison approach. Id. at 327. The Supreme Court held that because the defendant did not object to the jury instructions at trial and even acquiesced to them “the point has not been saved for appellate review.” Id. at 328. As such, the Court declined to address the issue. In footnote 3 of Lowery, the Court explicitly instructed: “This result should lead to no inference as to our conclusion if the issue sought to be raised by the cross-appeal were properly before us. We are aware that there is a split of authority among jurisdictions [in other states] as to the appropriate method of comparing a plaintiff’s negligence in cases involving multiple defendants.” Id. As of the date of this article, it does not appear that the Maine Supreme Court has addressed this issue after Lowery. Maine is one of the few states that do not statutorily cap the amount of noneconomic damages a plaintiff may recover in a medical malpractice action. However, in wrongful death actions, state law does impose a cap of $500,000 “for the loss of comfort, society and companionship of the deceased, including any damages for emotional distress arising from the same facts as those constituting the underlying claim, to the persons for whose benefit the action is brought.” MRS § 2-804(b). Additionally, punitive damages in wrongful death actions are limited to $250,000. Id. 25% of any amount over $200,000 of the amount recovered. The statute also specifically addresses future damages as follows: “For purposes of determining any lump-sum contingent fee, any future damages recoverable by the plaintiff in periodic installments shall be reduced to lump-sum value.” MRS § 2961(2). The court finds that the fee found reasonable in the condition immediately above does not exceed the percentages set forth in the contingent fee agreement between the attorney and plaintiff as the maximum amount of compensation the attorney may receive. Importantly, an attorney may only petition the court under this provision “if, prior to the signing of a contingent fee agreement by the attorney and client, the attorney informs the client, orally and in writing, of the provisions of this section.” MRS § 2961(3). In addition, the Maine Supreme Court instructed that the “statutory provision requires the court to undertake a careful analysis when approving a fee in a medical malpractice case that is greater than the statutory formula.” Scott v. Lipman & Katz, PA, 648 A.2d 969, 976 (Me. 1994). any other risks allocated by the fee agreement or potential benefits of the fee agreement, judged as of the time the fee agreement was made. It is important to note that the Comment 1 to Rule 1.5 states that the ten factors enumerated in the Rule are not exclusive and that each factor will not be applicable in every case. Contingent fee arrangements are expressly permitted by Rule 1.5(c), subject to the requirements described therein. A contingent fee arrangement must be in writing and signed by the client, and it must “state the method by which the fee is to be determined, including the percentage or percentages that shall accrue to the lawyer in the event of settlement, trial or appeal….” Id. It must also explain what “litigation and other expenses [are] to be deducted from the recovery; and whether such expenses are to be deducted before or after the contingent fee is calculated.” Id. The agreement must “clearly notify the client of any expenses for which the client will be liable whether or not the client is the prevailing party.” Id. Finally, at the end of the case, “the lawyer shall provide the client with a written statement stating the outcome of the matter and, if there is a recovery, showing the remittance to the client and the method of its determination.” Id. Finally, in the event of a dispute with a client, the attorney is required to submit “the resolution of any fee dispute in accordance with the Supreme Judicial Court’s rules governing fee arbitration.” Rule 1.5(g). In any civil action for professional negligence of in any arbitration proceeding related to such civil action, any statement, affirmation, gesture or conduct expressing apology, sympathy, commiseration, condolence, compassion or a general sense of benevolence that is made by a health care practitioner or health care provider or an employee of a health care practitioner or health care provider to the alleged victim, a relative of the alleged victim or a representative of the alleged victim and that relates to the discomfort, pain, suffering, injury or death of the alleged victim as the result of the unanticipated outcome is inadmissible as evidence of an admission of liability or as evidence of an admission against interest. It is important to note that expressions or admissions of liability of fault are not covered by the statute and are thus admissible as evidence in a medical malpractice action against the healthcare provider. The statute reads: “Nothing in this section prohibits the admissibility of a statement of fault.” MRS § 2907. Relative—an alleged victim’s spouse, parent, grandparent, stepfather, stepmother, child, grandchild, brother, sister, half brother, half sister or spouse’s parents. It also includes these relationships that are created as a result of adoption. In addition, “relative” includes any person who has a domestic partner relationship with an alleged victim. As used in this section, “domestic partner” is a person who has registered as a domestic partner under the applicable statute. Representative—a legal guardian, attorney, person designated to make decisions on behalf of a patient under an advance directive or any person recognized in law or custom as a person’s agent. Unanticipated outcome—the outcome of a medical treatment or procedure that differs from and expected result. MRS § 2907(1). Although expressions of apology or sympathy may not be used as an admission of liability or otherwise as evidence, experienced medical malpractice lawyers in Maine understand that they can still be useful to potential plaintiffs. Lawyers point out that receiving such an expression of apology or sympathy may alert the potential plaintiff that an error was made by a healthcare provider. While the expression itself cannot be used against the healthcare provider in a civil action, it can serve as the trigger for the need to investigate the circumstances surrounding the plaintiff’s injury by contacting an experience medical malpractice lawyer.